Claim 30 Free Spins Now! Is there something that Virgin hasn’t turned their hand to. This megalith of a company runs trains, flies planes and brings music to your ears. Now Richard Branson is having a go at bringing you the best in casino gaming, powered by Nozee. With the same playful nature of all the other Virgin products, Virgin Casino is a really welcoming site that has a range of fun and unique games to keep you playing. Like almost all online casinos, Virgin Games offer a Welcome Bonus on the first deposit to entice new players to sign up. This is an industry-standard promotion and you would be hard-pushed to find an online casino that doesn’t induct their new players with a reward of some kind. Most other online casinos require large deposits to benefit in any way from their Welcome Bonus which might be off-putting for anyone who might just want to dip their toe in first. That’s why you only need £10 to get started with Virgin Games. Once you have deposited and played £10, you can claim 30 free spins to play on Double Bubble. All you have to do is opt in when you make your first deposit and you’ll have 30 days to use your free spins. And that’s all there is to it, making it the perfect Welcome Bonus for casino beginners. More experienced players may want a heftier Welcome Bonus but there are other merits to Virgin Games which might prove attractive. For every type of game that Virgin Games offer, there is a promotion or deposit bonus that will correspond to it. Poker players, slot game lovers and Live Casino frequenters will all have something to pique their interest. They even draw on things from the whole of the Virgin empire, offering spa holidays and other luxury experiences as prizes. Virgin Games know that showcasing the newest slot titles is best done with a great promotion. When you’re on their promotions page, you are likely to find a deal to do with a new or upcoming release. Bingo lovers need to check out the Super Links promotion. Every 30 minutes there is a new game to take part in with Super Jackpots up to £20,000. You can spend as little as 10¢ to enter and walk away with a life-changing sum of money. Casinos know the power of word-of-mouth, even in this digital age, and they have found a way to reward those who recommend their site to their friends. Virgin Casino have their Friends With Benefits scheme which will give you £20 for every friend you sign up with Virgin Games. Casinos have gone from going online to being in our pockets with the rise of smartphones and tablets. With a 4G connection and a generous monthly plan, you can access your favourite online casinos from anywhere, whenever you like. It would be a big surprise if an online casino run by Virgin didn’t have great mobile options. You can access the entire site from your mobile browser, so you can take the complete Virgin experience with you wherever you can get a network connection. There is also the Virgin Games app which is available for Apple and Android phones and devices. The apps come with all casino options laid out for perfect accessibility. 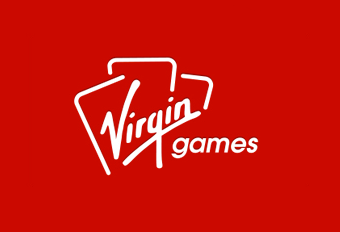 If you want to keep up with them on social media, Virgin Games can be found on Facebook, Twitter and Instagram. It is always best to read every word of any Terms and Conditions of every promotion and bonus before taking part. You don’t want to leap headlong into a great deal only to miss out because you weren’t aware of an important condition you failed to meet. To avoid disappointment there are a few common things you can look out for. The biggest thing that comes as a surprise to new customers who have never played in an online casino before is the wagering requirements. These are restrictions that apply to bonus money or winnings from free spins which helps prevent money laundering and irresponsible gambling. For the Welcome Bonus at Virgin Games, there are no wagering requirements on the winnings you get from the free spins. There are also limitations like time limits on things like bonus cash or free spins, which sometimes have expiry dates. If you have a habit of saving your spins and bonuses for a rainy day, you might want to keep an eye on them and spend them before they disappear.